Justin Bieber I Didn't Trash Meek Mill's House! 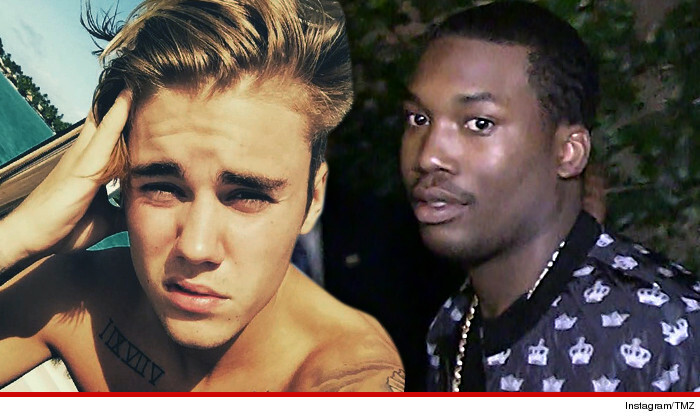 Justin Bieber -- I Didn't Trash Meek Mill's Party House! Justin Bieber is calling BS on getting dragged into a lawsuit against Meek Mill, and he's standing up for his famous friends who were also sued. TMZ broke the story, Meek's getting sued by the guy who owned the house the rapper rented for a Grammy party. The landlord says Meek and his 1,000 guests caused $150,000 in damage. The landlord added Bieber to the suit, saying he was a trespasser who contributed to the damage. The landlord's also suing Khloe Kardashian, Nicki Minaj, Chris Brown and French Montana. Bieber just filed his answer to the lawsuit, saying he didn't cause any damage, nor did any of the other famous defendants. What's more, Justin takes offense to being called a trespasser. He says he was an invited guest, and the landlord's just looking for an easy payday.